The 425 provides one alkaline D cell battery. Products that use alkaline D cells include our OBS-3A Turbidity and Temperature Monitoring System, BPALK Battery Pack, ALK7 Battery Pack, CRVW3 Battery Pack, and the alkaline battery base of a CR3000, CR23X, or 21X datalogger. For the OBS-3A, the batteries are purchased separately. The batteries are shipped with the other products. 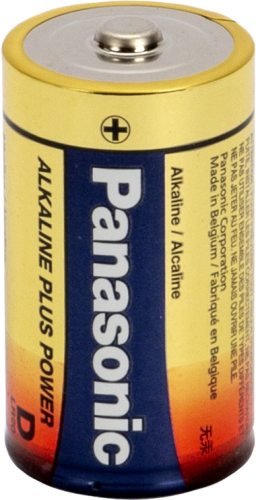 The 425 provides one alkaline D-cell battery. Products that use alkaline D cells include our OBS-3A Turbidity & Temperature Monitoring System, BPALK Battery Pack, ALK7 Battery Pack, CRVW3 Battery Pack, and the alkaline battery base of a CR3000, CR23X, or 21X datalogger. For the OBS-3A, the batteries are purchased separately. The batteries are shipped with the other products. The 425 was formerly ordered as the ALK/D. The 425 provides one alkaline D-cell battery. Products that use alkaline D cells include our OBS-3A Turbidity & Temperature Monitoring System, ALK7 Battery Pack, BPALK Battery Pack, CRVW3 Battery Pack, and the alkaline battery base of a CR3000, CR23X, or 21X datalogger.